As one of the UK’s leading universities for online distance learning, we are dedicated to providing structured and supported undergraduate and postgraduate degree courses available to study through online learning. Choose form counselling, clinical supervision, psychology and cognitive behavioural studies. You can complete a university qualification alongside your career or other commitments, without the need to attend fixed lectures or travel to our Derby campus in the UK. 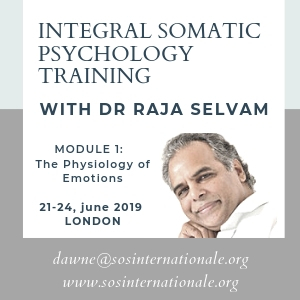 SOSI offers educational programmes and workshops in the prevention and resolution of traumatic stress, the nemesis that underlies the majority of symptoms we express as individuals, families, societies and cultures. These programmes range from in-depth professional trainings of three years, which prepare healthcare providers to work in the field of PTSD, to short introductions and weekend workshops that are available to everybody. OxiCPT offers a variety of high quality CPD events for a broad range of clinicians, including our 1 year, part-time PGCert in Supervision – with an emphasis on key models and skills and the central role of the supervisory relationship. Based at London Bridge, WPF Therapy sees more than 500 clients each week in our modern, purpose designed centre. We also provide training for about 1000 people each year. We are a well-established charity, proud of our reputation for high standards and with active membership of BACP (British Association for Counselling and Psychotherapy), UKCP (United Kingdom Council for Psychotherapy) and BPC (British Psychoanalytic Council). Our clinical service is accredited by BACP and our graduates are registered with BPC, UKCP or BACP. Our degrees are validated by Roehampton University. Terapia offer in-depth training in therapeutic work with children and adolescents from an integrative perspective. The training includes major approaches to child psychotherapy and counselling and covers all topics related to children's mental health. Strathclyde is at the forefront of national and international developments in counselling and psychotherapy.